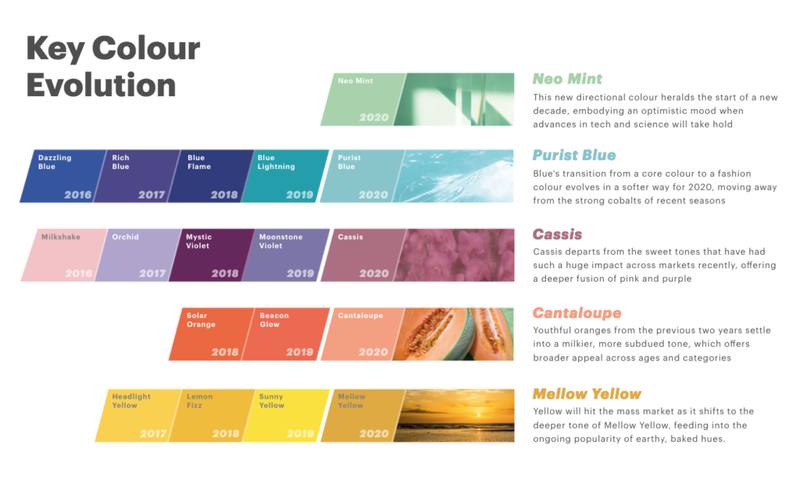 Move over, Millennial Pink — Neo Mint is the emerging “it” color, according to London-based trend forecasting and analytics company WGSN. Boddy noted the number of technological advancements slated to take place in 2020 — Tokyo’s Olympic Summer Games will be the first to use artificial intelligence to judge athletes, the world’s tallest building, Jeddah Tower, will be completed in Saudi Arabia, NASA will embark on its Mars Rover Mission, and Uber plans to launch flying taxis in Los Angeles and Dallas. In an interview with Dezeen, Boddy explained that she’s already seen Neo Mint in pieces by fashion-forward brands and on the pages of Instagram influencers, which is similar to how Millennial Pink gained a foothold in pop culture. “I’ve already seen Neo Mint popping up in younger fashion-forward brands, and in a few more years time, it will start to filter into high street stores. Like all trends, it will evolve and grow,” she told Dezeen. If Neo Mint reminds you too much of the oft-hated Seafoam Green, no worries — Purist Blue, Cassis, Cantaloupe and Mellow Yellow are also on the list of up-and-coming hues. In a previous interview with Inman, senior color marketing managers Misty Yeomans and Dee Schlotter said homeowners can take advantage of trending colors by creating accent walls throughout their home. “Color can serve as a powerful tool for attracting prospective bidders, but trends may change over time, which is why it’s worthwhile to consider what tints are most favorable with would-be buyers,” said Yeomans.